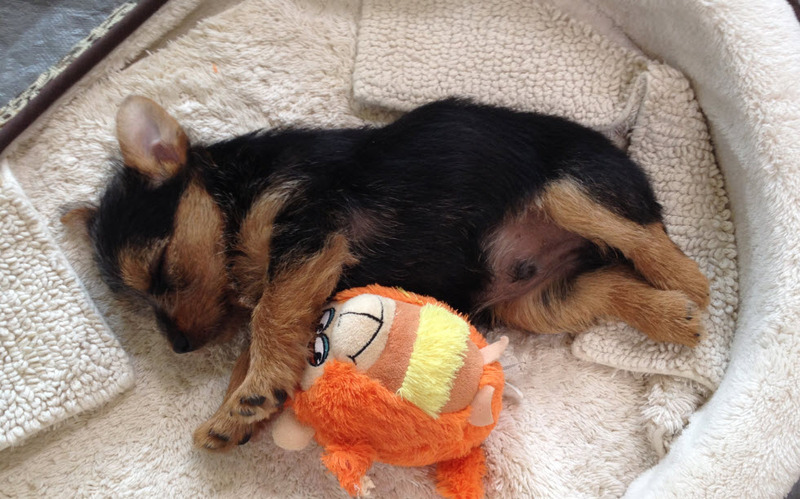 I Haz a New Puppy! 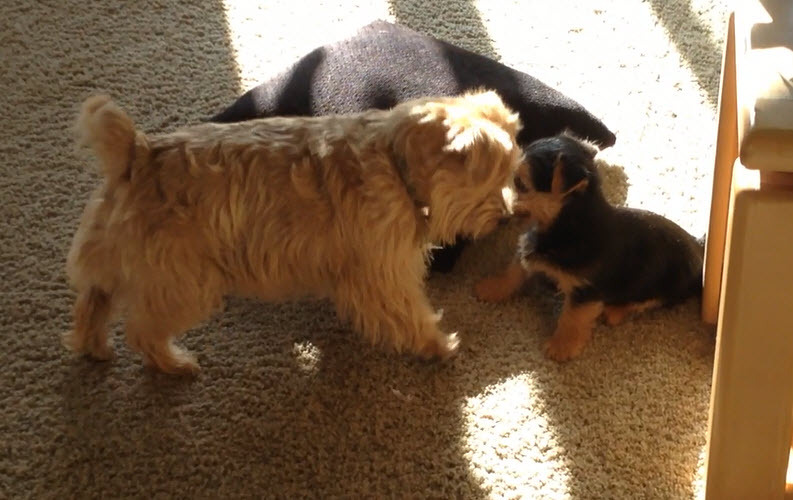 Meet Raider, my 9 week old Norfolk Terrier black-and-tan puppy! 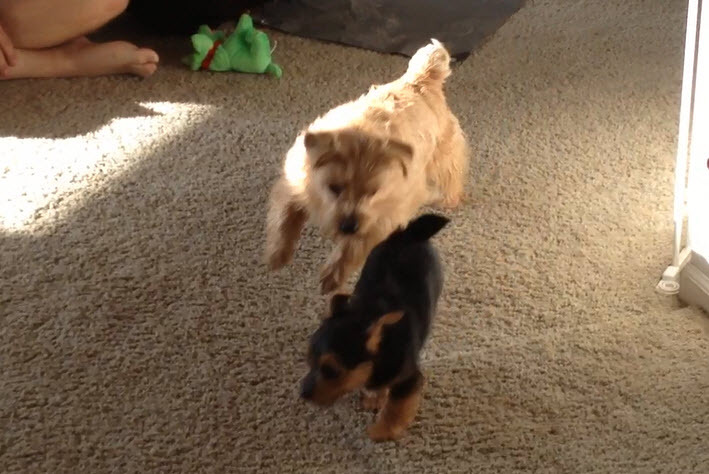 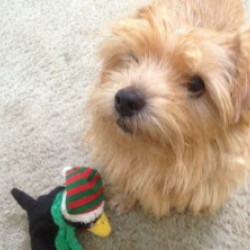 His sister Roxie, also a Norfolk Terrier but red, is having a ball playing chase with him. 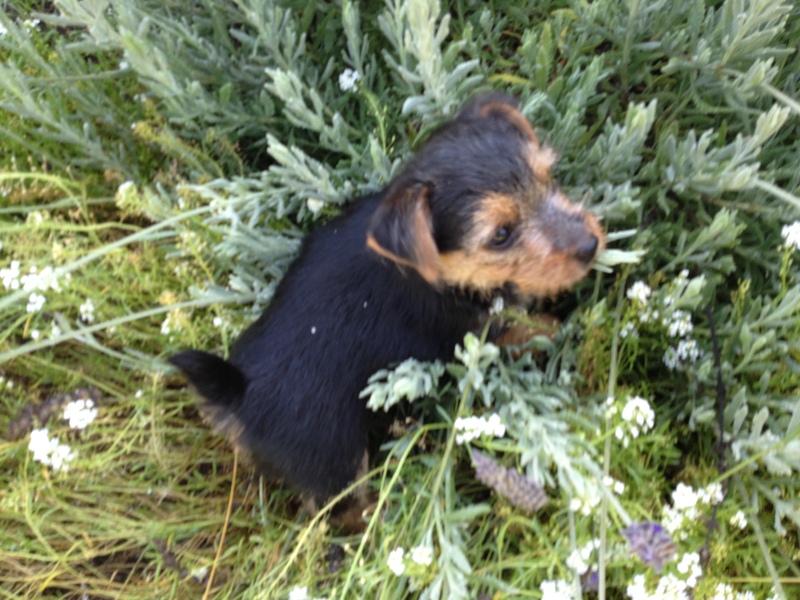 He is a whopping 3 1/2 pounds of pure fun.